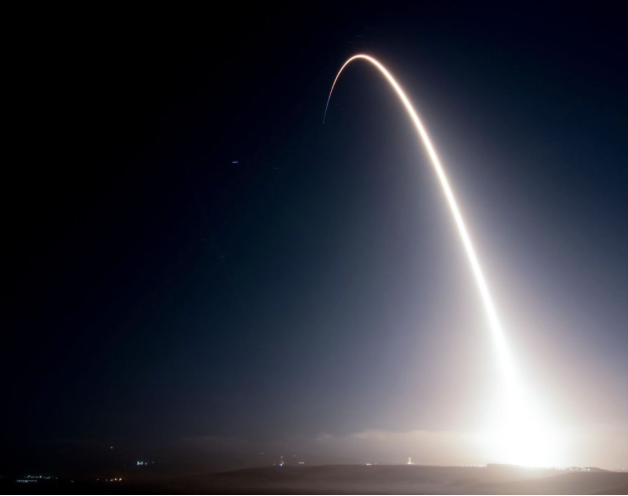 The future of Vandenberg Air Force Base, particularly as it relates to the commercial space launch industry, is at a “critical crossroads,” according to one of the installation’s top officials, who is hopeful that the federal government and the civilian community will help the base reach what he sees as its full potential. Col. Michael S. Hough, commander of the 30th Space Wing at VAFB, shared his concerns during a conversation Wednesday in his on-base office. Col. Michael S. Hough, commander of the 30th Space Wing at VAFB, shared his concerns during a conversation Wednesday in his on-base office. Hough cited the Budget Control Act of 2011, as well as the ensuing sequestration spending cuts that began in 2013, as the driving factors behind the base’s inability to hire personnel and improve infrastructure to the level that he believes will be needed to fully embrace the commercial launch boom that he and others envision taking off in the near future. The funding issue is paramount, Hough said. The sequestration spending cuts not only significantly reduced the amount of funding allocated to the base, as well as the military overall, but the subsequent continuing resolutions passed by Congress each year since have also made things difficult, Hough said, because the money is provided in irregular increments. This prevents base leaders from being able to plan for significant upgrades or major projects because they don’t know exactly when they’ll receive funding or how much they'll receive. Hough noted that, presently, funds are typically spent on “Band-Aid fixes” to things that should be getting a lot more attention. He pointed to the Encelados fire that flared up on base Nov. 24 as an example of the base’s dated infrastructure. That fire, which ultimately burned about 380 acres, was determined to have been caused by a downed power line. 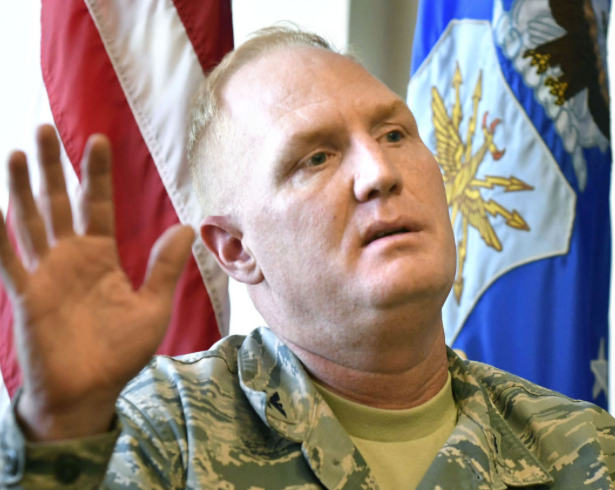 “The corrosive atmosphere of this base is such that we need to be doing these constant updates and we just can’t get ahead of it,” Hough said. With what he deems as proper funding, Hough noted that government civilian hiring could go up — about 1,200 government civilians work on base now, a drop of about 10 percent from a decade ago, according to VAFB public affairs — and the base could become a much stronger player in courting the burgeoning commercial launch industry. In the past, VAFB relied on its location as its biggest selling point to launch providers. The base, historically, had been the only launch site in the U.S. that was capable of polar launches due to its ability to allow rockets to shoot off in a southern direction without flying over heavily populated areas. That’s no longer the case, however. Hough noted that polar launches can now be conducted from Patrick Air Force Base and Cape Canaveral, both located on Florida’s Atlantic coast, and that launch companies are beginning to build their own launch sites. To help foster an environment that attracts the companies, Hough said he is hoping for community support. One way community members can get involved is to press the funding issue with their representatives in government, particularly those in Congress. He said he’d also like to see concerted efforts from the state and other civilian organizations to celebrate and promote Vandenberg’s connections to space travel, similar to the way the Space Coast is treated in Florida. “I’m not saying the state doesn’t do stuff for us,” Hough said. “Don’t get me wrong at all, they do. They do wonderful things … but again, I keep harping back to 'we’re at a crossroads.' How do we want to be perceived by the commercial launch (industry)? Do we want to be perceived as welcoming or indifferent? In a bit of fortunate timing, VAFB is closing in on a historic launch that should generate excitement among those who follow the space industry. NASA is targeting May 2018 to launch its InSight Mission to Mars. That mission, which had initially been slated to take place in early 2016, will provide the first interplanetary launch from VAFB.